PP for thinwall injection moulding applications, containing antistatic additives, has been developed by Sabic for the production of containers for yellow fats and packaging for dairy products such as yoghurts, cream, flavoured milk and cheese spreads. With the introduction of the impact copolymer grade, Flowpact FPC 100, Sabic now has two impact copolymers and one homopolymer in its Flowpact range. As with existing grades, FPC55 and FPH50, the new grade is distinguished by high flow and high crystallisation speed, which together result in reduced cycle times for moulders. It also features an improved balance of impact strength and stiffness, says Sabic. It has a melt flow rate (MFR, 230°C, 2.16 kg) of 100 g/10 minute, enabling easy production using multi-cavity moulds running at high speed. 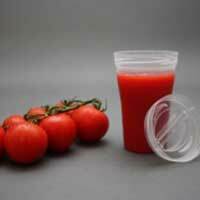 Concerning food packaging, the new grade is in compliance with EFSA regulations.